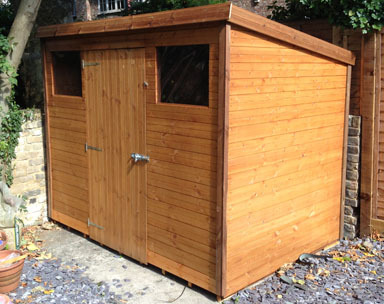 Top quality garden sheds for sale at Beast Sheds, Our standard garden sheds designed for general purpose, such as to store garden furniture and other outdoor equipment, bikes etc.. 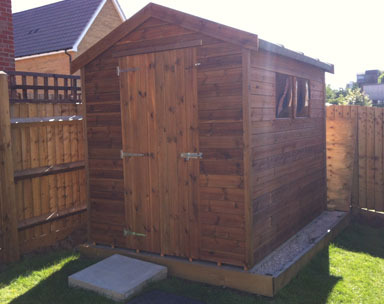 These garden sheds are hand made to order, and constructed from redwood timber which is treated with with anti-fungal preservatives as standard. 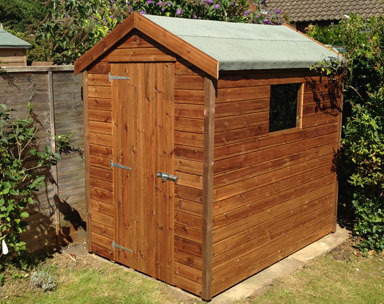 Our tanalised range of wooden garden sheds provide protection to all your garden accessories, tools and equipment from all weather conditions and is maintenance free, so no need for annual re-treatment. The wooden framework and cladding is treated free of charge in our manufacturing depot. 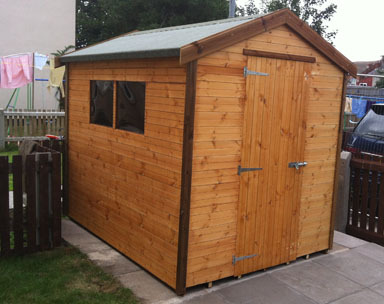 As these sheds are made from a 38mm x 50mm planed framework, they are extremely durable and sturdy and with yearly maintenance to prevent rot and decay they will last for years! The cladding is 16mm planed tongue and groove wood, finsihed to approximately 12mm. 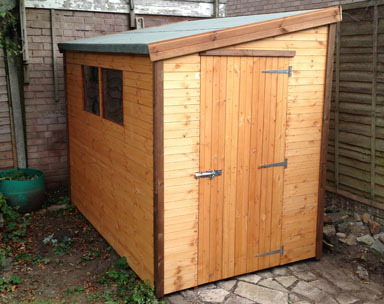 All together a standard shed is an excellent and affordable solution to store your garden furniture and tools. The wooden framework is placed in a vacuum sealed chamber and high pressure wood treatment is injected deep into the grain. This is Tanalisation, and will add years and years to your shed life! 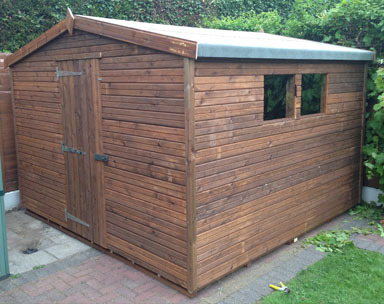 We highly recommend this shed range if it will be difficult to re-treat your shed: if your shed is in a corner or next to trees and shrubbery. The ideal trouble-free solution to store your garden tools and equipment!